Laugh Factory, a Hollywood icon for the last 35 years, has just announced that Helsinki has been chosen to host its biennial Funniest Person in the World competition, being held from December 4th through the 10th, 2016 in Finland. Each country can be presented by up to two comics. Comedians must be sponsored by an approved and reputable entity. Contestants chosen must provide a three-minute set which will be uploaded on the Laugh Factory website and voted on by fans around the world. 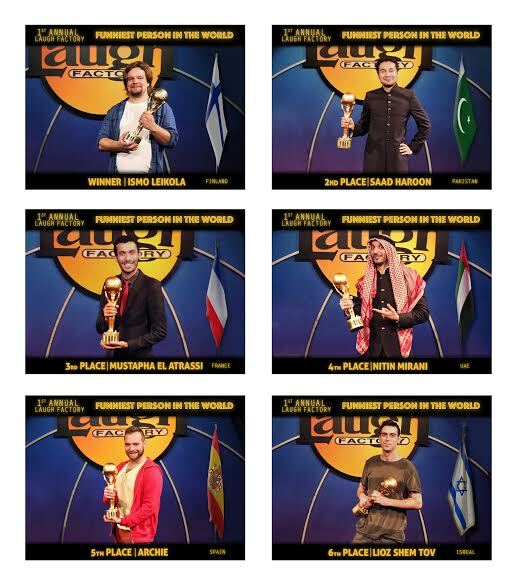 During the 2014 event, comedians from all over the world came together and made people laugh. The participating comics enlightened the audience - and each other - about their individual cultures and the ways people can laugh at similarities as well as differences. “Although competition for the host city got intense, with Dubai making a compelling and furiously competitive offer, money was not the deciding factor," says Jamie Masada, founder of Laugh Factory, "Finland’s appearance in the top 10 of the U.N.’s annual happiest countries in the world was one reason; another was that the inaugural winner of the Award Ismo Leikola, is a Finn and, perhaps most of all, because Finland is about to celebrate its 100th Birthday in January 2017 and what better way for such a milestone than a celebration of what is often referred to as the 'best medicine'." The City of Helsinki, along with Solar Films - one of Finland's top entertainment companies - will sponsor the week long competition. They have agreed on a $2 million dollar budget for the event, which will include a gala opening parade, live performances by world famous comics, different stages for holding the semi-finals and a Final Show at Hartwall Arena broadcast worldwide. The Grand Prize winner will receive the Festival's Trophy and a check for $100,000 USD. The two runners-up will receive awards of $10,000 USD and $5,000 USD and each of the 20 finalists will receive $1,000 USD. Laugh Factory's portion of any profits will be donated to help combat children’s world hunger through Feed the Children. "We Finns like to connect people,” says Mr. Juha P. Markkanen, Finland’s Counsel General in Los Angeles, "building bridges between various countries and nations through smiles and laughter is a very positive way to accomplish something that is unique and great." Bono thinks telling jokes will make ISIS stop killing people. The Laugh Factory is in discussions with Bono to attend Funniest Person in the World.